← What is learning for you? What is teaching? 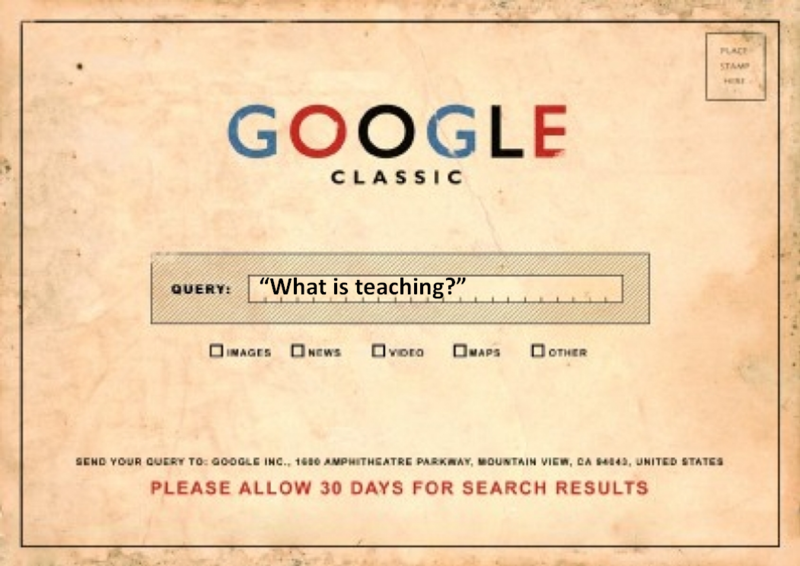 Ask Google, but please allow 30 days for search results! This entry was posted in #fslt12 and tagged #fslt12, ask google, creativity, Google, mooc, online courses, teachers, teaching. Bookmark the permalink. I love Google Classic 🙂 I have librarian friends who were around when the first electronic databases were available and only trained librarians knew the syntax. Patrons came in with their queries, the librarian would take down the information, and over night the queries would be batched and results would print out. The patron would come in the next day to pick up a list of references lol 🙂 How far we’ve come!